Like the hanger idea. sounds more practical than using a drying machine. 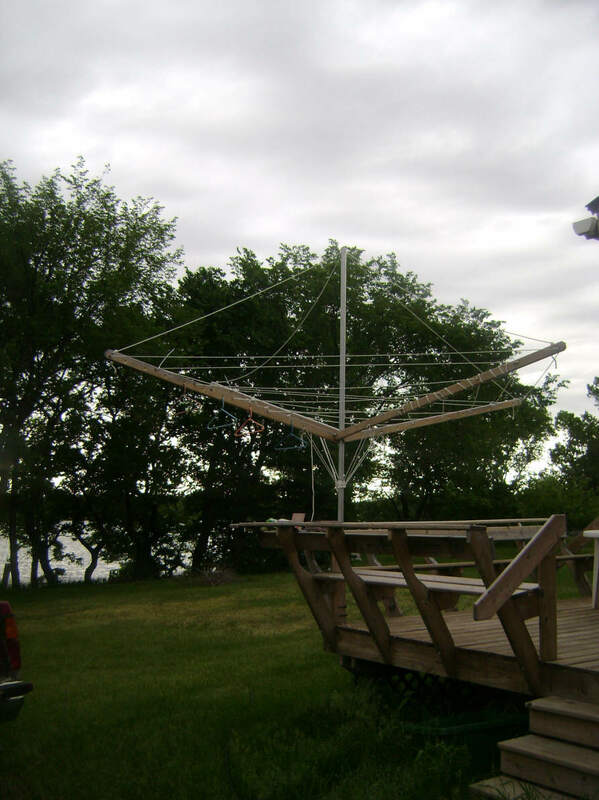 This is a pretty impressive clothes line. I really like my laundry drying rack that I can move around the yard and house depending on the weather and the time of day. Thanks Mary -- that is pretty slick -- nice and compact. 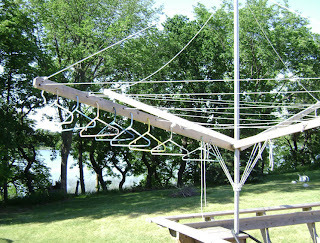 Hi Gary, nice drying rack. It is great it is made of materials easily purchased and has lots of space for clothes. If you are interested in a wood drying rack, I sell unique wall mount drying racks which can accommodate up to 5 QUEEN sized bed sheets! The best part is the drying rack extends from the wall only 3.5" when not in use so it takes up very little space in the home. The sturdy 1" diameter drying rods won't bend and are made of strong Douglas fir. Hopefully more people will be turning off the most energy intensive appliance in the home.